Do you run a pocket money business when you need to run a bread and butter one? How much do you want to and need to earn in your new business? When starting your own enterprise or thinking about setting up your own business, it’s a good idea to be clear from the outset about what is the purpose of doing so? I don’t mean the nature of your business i.e. what is the problem that you help your potential target audience or customers to solve; at this stage I’m talking about why do you want to get into business in the first place? Are you doing it for ‘pocket money’ or perhaps to enhance any current income stream, like if you are already employed and working for someone else? Is it to enhance your quality of life – so you can go on maybe a few more holidays per year, get that slightly better spec car or that new sofa etc? Or do you have a desire to work for yourself only – so that your business will be your entire income i.e. that it’s your ‘bread and butter money’ that has to pay for the roof over your head, put food on your table, cover the car insurance as well as weekends away and your holidays. 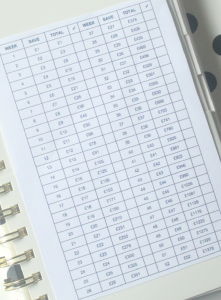 All this is important as it then helps you to consider how you might go about this – how much money do you need per month to fund all your basic expenses. This is often called your ‘survival budget’ – what does it cost to run you?! Then you can start thinking about what how you need to fund your lavish holiday plans?! Most people set up their own business because they are passionate about what they will be doing – they enjoy the skill or service they will be delivering. But how do you know if it is financially viable to achieve your money goals? 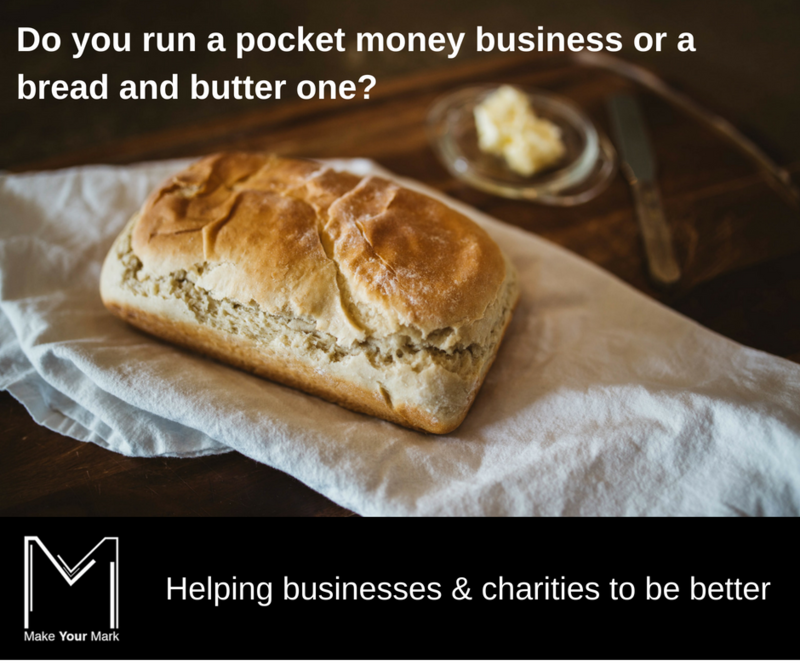 If you need it to be a bread and butter business, but it’s more likely to actually provide you pocket money, you may need to rethink. Here are top 5 tips to help you get into the right mind-set to consider this further. What’s is your survival budget? I’ve always found it a challenge to save significant amounts of money on a regular basis. I’m sure it’s not just me that finds themselves living to your means. For example, when employed and occasionally getting a pay rise, whether it was £50 per month or more, I would always start with good intentions to squirrel it away and save it but of course that rarely happened and certainly not on a regular basis! 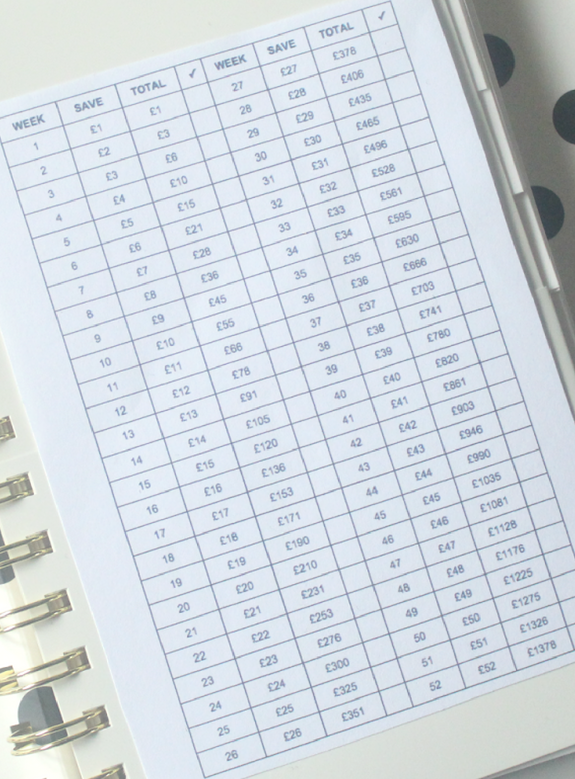 One thing that I have stuck to so far this year, is the idea of saving the number of pounds per week relating to the number of that week in the year. For example, in the first week in the year, I put £1 aside, £2 in the second week, £3 in the third week and so on. Of course, as the year goes on and when approaching December it may be a bit more challenging e.g. £48 one week, then £49 the next etc. A friend of mine shared an image on pinterest that shared this idea. My current plan is to use this savings for a trip to New York in a couple of years (for my 40th birthday year) and therefore to strike off one of the things on my bucket list or as I like to call it my itch list! The first important thing is to know how much you need to survive on for a typical week and whether your business approach and model will deliver it. Then secondly, you need to consider when and how your money will come in and hit your account? Cash-flow is just that – the total amount of money moving in and out of your business. It is typical that a business who is charging their customer by invoice will ask for payment within 30-day terms. So, you may have to wait about a month after you have delivered your service to get your money in. When you are a start-up, you are often working a month before you get paid. So how can you manage that in your cash-flow? Depending on the service you provide will of course depend on when you get paid. If you are a counsellor or a hair dresser, or maybe a nail technician for example, you can expect your customers to pay at the point of delivery i.e. after the counselling session, or once your hair has been cut or once your nails have been done. Whereas if you are a caterer supplying a buffet to a business or you are offering book-keeping services to a client, you would probably expect to invoice them on a monthly basis. Cash-flow is so important to keep an eye on, plan and regularly review. There are some recent examples of huge businesses who had lots of orders but because they took their eye off the ball when it came to cash-flow, they ended up going bust. This was a good piece of advice given to me when I first started my own business and something I try to do. Get into the habit of putting about 20% of your business income into another account so you build up a pot of money. It really helps when approaching January each year when you have to do your tax return for the previous tax year, so you have a chunk of money to hand ready for this purpose. This is always very helpful especially so soon after all the financial demands at Christmas – gifts, parties and visits to friends or family around the country etc. Once you know the reason you are in business i.e. is it to earn some extra money or is to earn your sole income, you can then start looking at what you need to earn and how you can do that. Lets use an example of a counsellor or therapist and lets call her Jane. 20% of £3200 is £640 which is the amount Jane is going to put in her savings each month ready for when she does her tax return. If Jane wants a bread and butter business, this model works well. She’s got enough to cover her monthly costs and also a good surplus. As a new start up, the above result may not be realistic for Jane to achieve straight away – is she really going to get you may not achieve 4 clients per day consistently to begin with. Could she get a part time job? Does she need to increase your prices? Could she run a ‘one to many’ session eg group session? Could she rent her spare room out and get a lodger for example? Let us know if you use any of these tips or have any more to share. I am writing to let you understand what a exceptional experience my daughter gained visiting yuor web blog. She even learned some things, with the inclusion of what it is like to possess an incredible coaching mood to make the rest without problems master a number of advanced topics. You undoubtedly did more than people’s desires. Many thanks for giving those invaluable, safe, informative and in addition fun tips about that topic to Ethel.